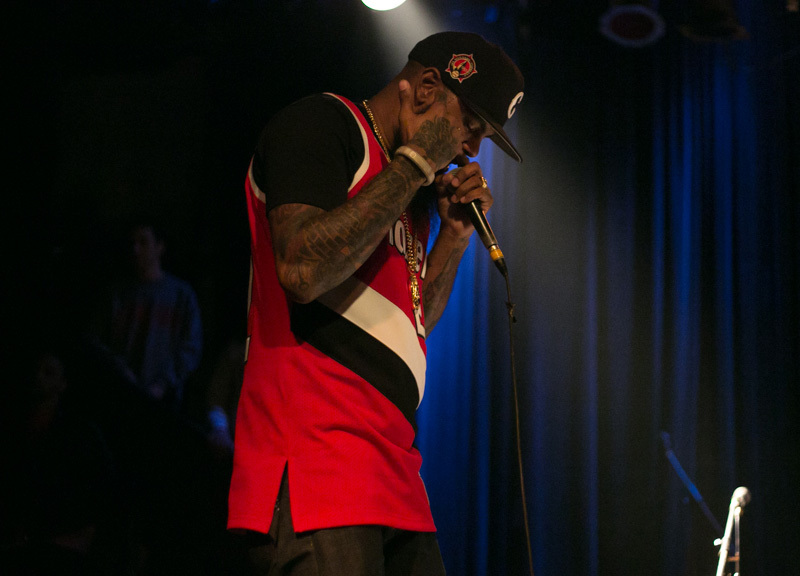 Scenes From Stalley's Saturday Night Show at the Prophet Bar. It's hard to think of a record label imprint that's any bigger at the moment than Rick Ross' Maybach Music Group. 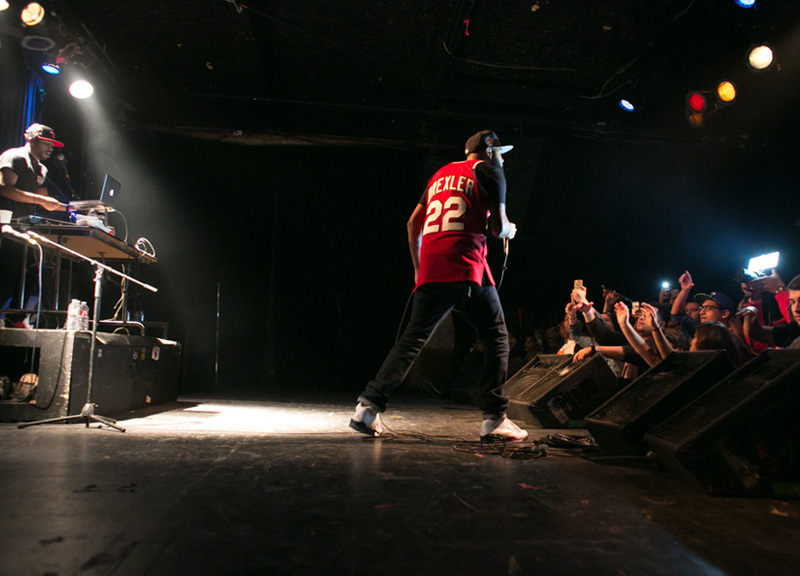 Not only has Ross himself stayed on the airwaves 24/7 of late with hits from his 2012 releases God Forgives, I Don't and Rich Forever, but the impressive roster of artists on his imprint — a list that includes Meek Mill, Wale and French Montana, just to name a few — have their own hits to boast, too. 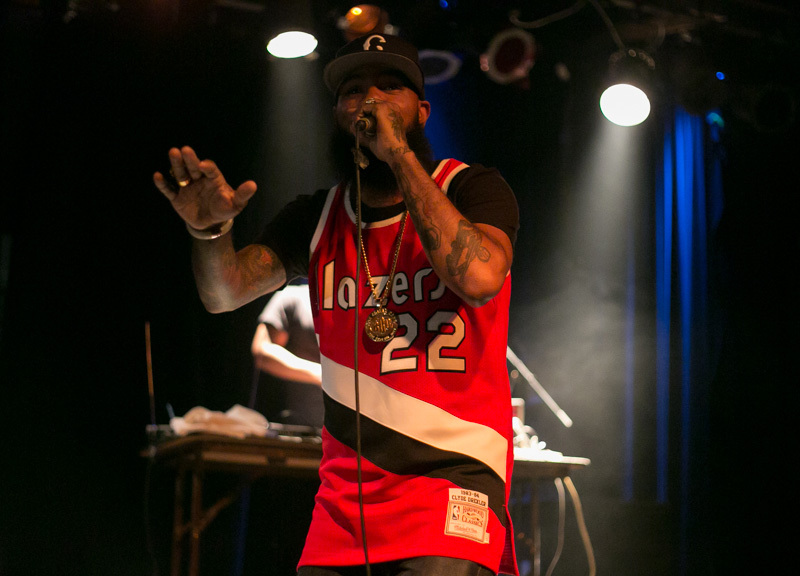 It's not all about radio play with Maybach Music, though. Not necessarily, at least. 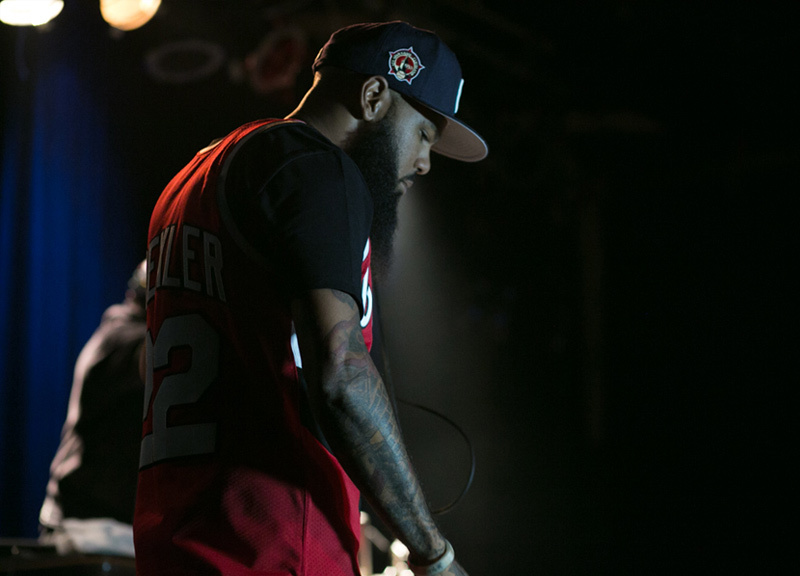 Look slightly deeper into the imprint's roster and you'll find Stalley, a 30-year-old Ohio rapper who appeals more to the hip-hop purist. 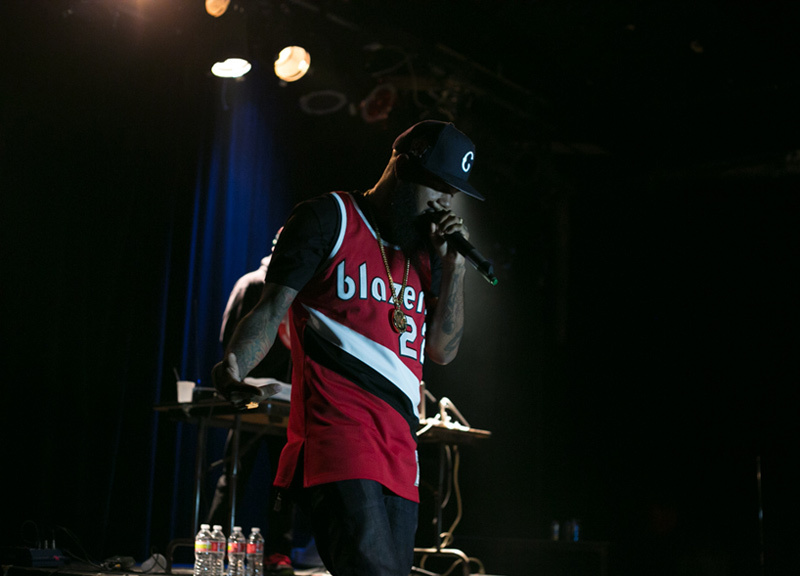 His tracks play to the struggle of the average man who keeps his nose to the grindstone working toward his dreams. 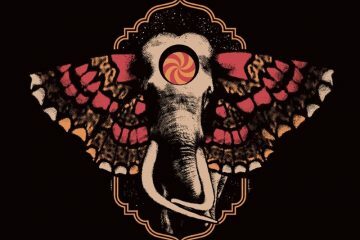 Clear proof of this much could be seen even in the title of his 2012 release: Savage Journey to the American Dream. 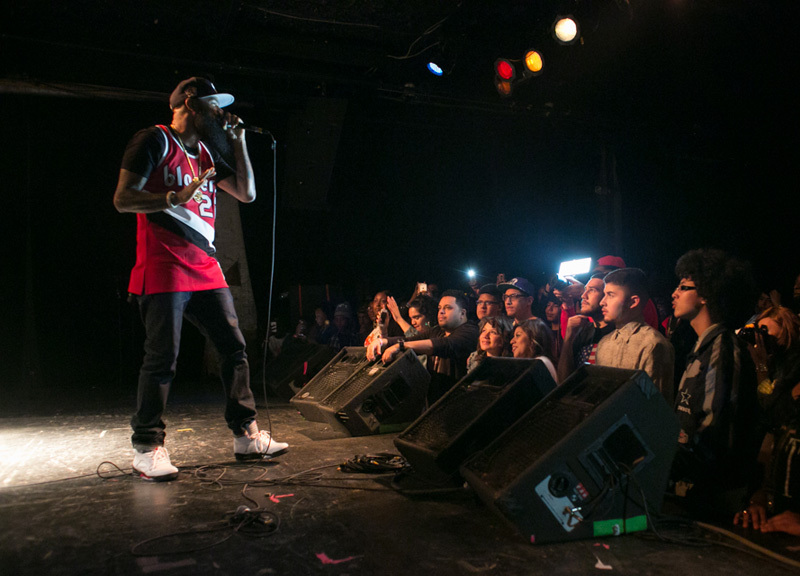 And, on Saturday night at the Prophet Bar, the MMG affiliate brought this same blue collar approach to town, maintaining an air of humbleness and sincerity as he performed to a relatively small crowd — definitely a smaller one than the wonderfully bearded rapper had drawn to his Trees show back in August. 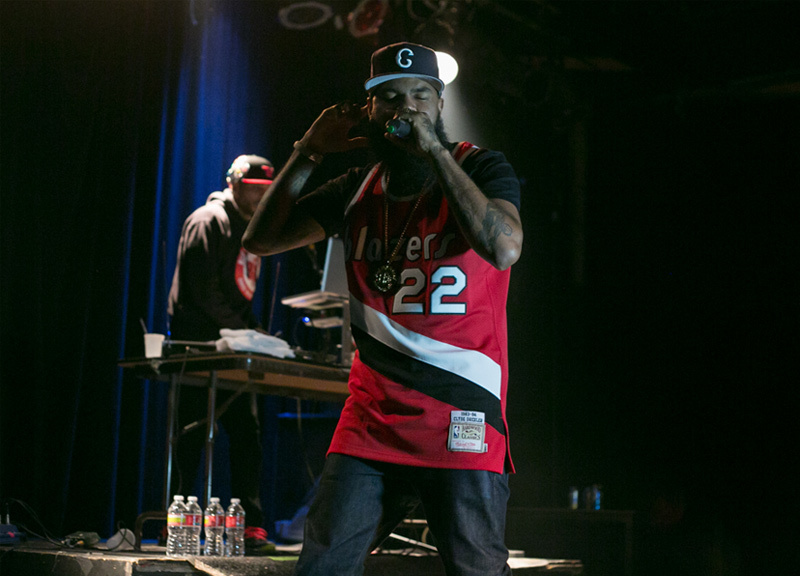 Donning a bright-red Portland Trailblazers' Clyde Drexler throwback jersey and a gold chain with a Blue Collar Gang medallion, it was evident during his set that Stalley indeed has an affection for the old-school. 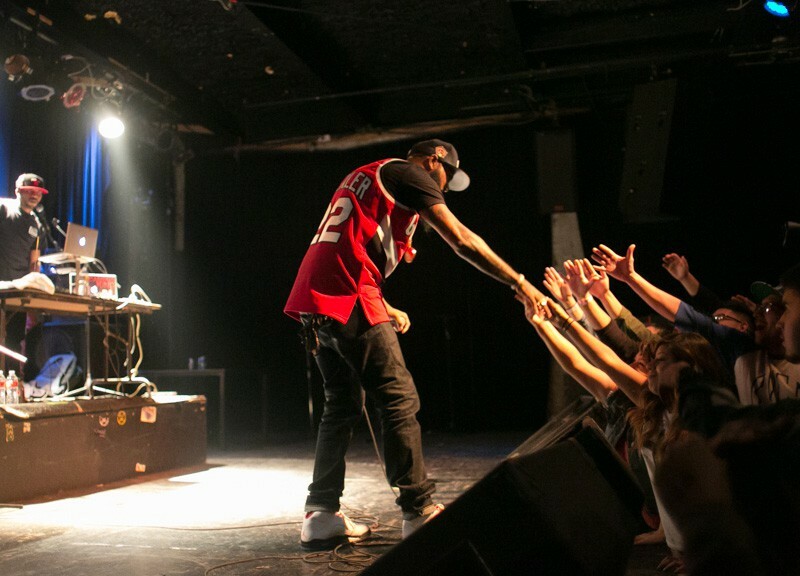 This affection is a theme in his music, too. In the song “Petrin Hill Peonies,” which was performed in the early set, he rapped about his preference for older, big-block Chevys: “Chevy with them 427s when I'm revving, hear them angels,” he rhymed. 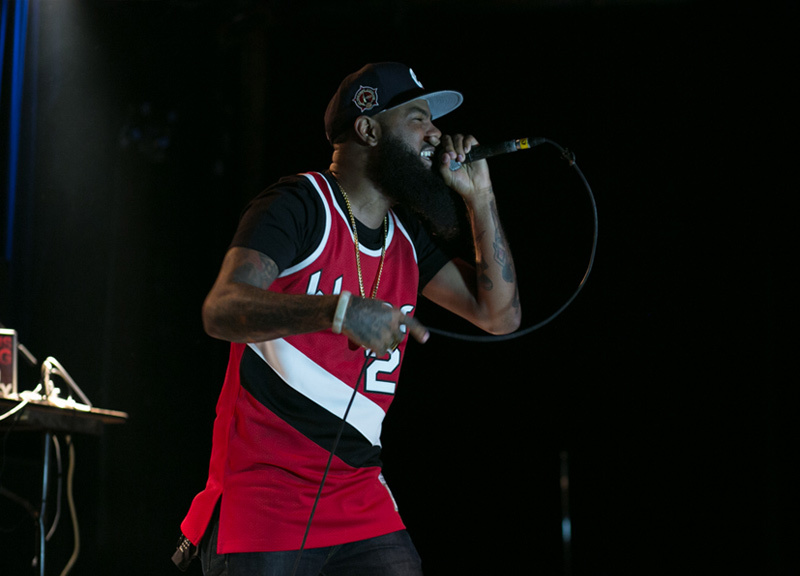 The rest of that song lyrically places Stalley on a hill in the Czech Republic, picking the pedals of a flower, asking himself if his crush loves him or loves him not. It's only slightly different than this past summer's “Pop That” jam that features his fellow MMG artists French Montana and Rick Ross. 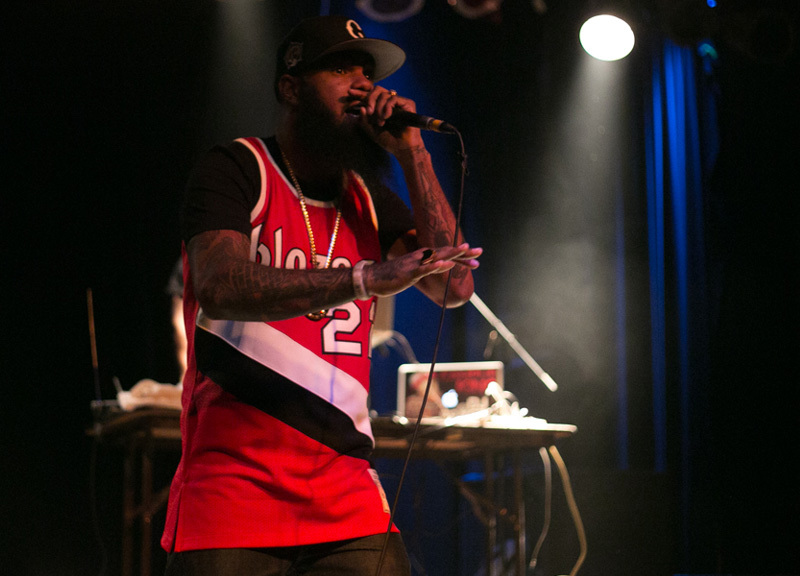 But Stalley isn't necessarily opposed to that approach, either, turns out. 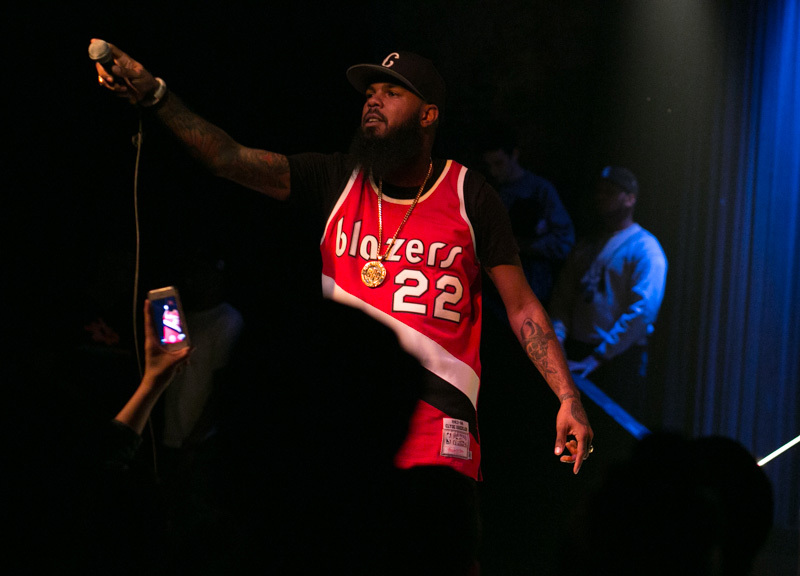 After mixing in tracks from Savage Journey and 2011's Lincoln Way Nights for the better part of the set, Stalley took a moment to perform a new collaboration of his with Rick Ross that uses Chief Keef's menacing “Love Sosa” track. The song only premiered on WorldStarHipHop this past Thursday, but it's already approaching 3 million views. 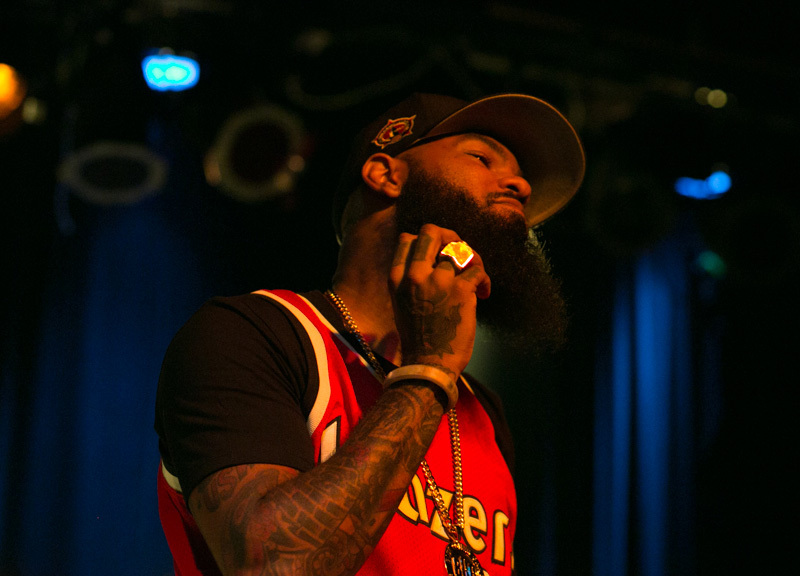 Listening to the track, Ross' influence on Stalley is apparent, who seems to have a little more of a chip on his shoulder than usual in the song, which finds him uncharacteristically bragging about how much income he pulled in last year. 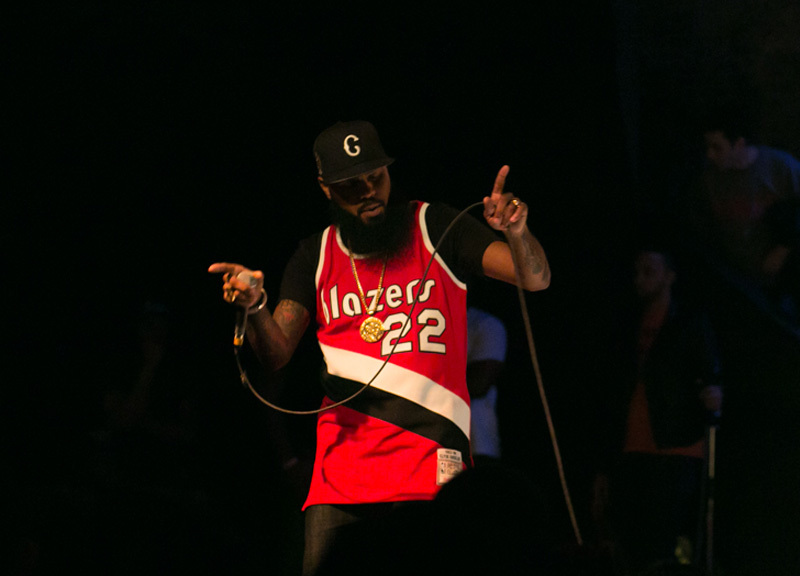 That detour, perhaps, was enough of a change-of-pace for Stalley to disregard the traditional leave-the-stage-for-an-leave-them-begging-for-an-encore thing. 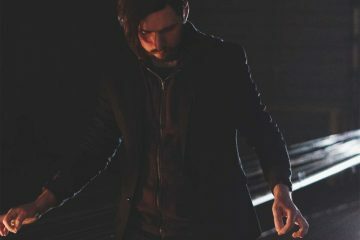 Instead, he remained on the stage and performed requests as his set drew to its close. 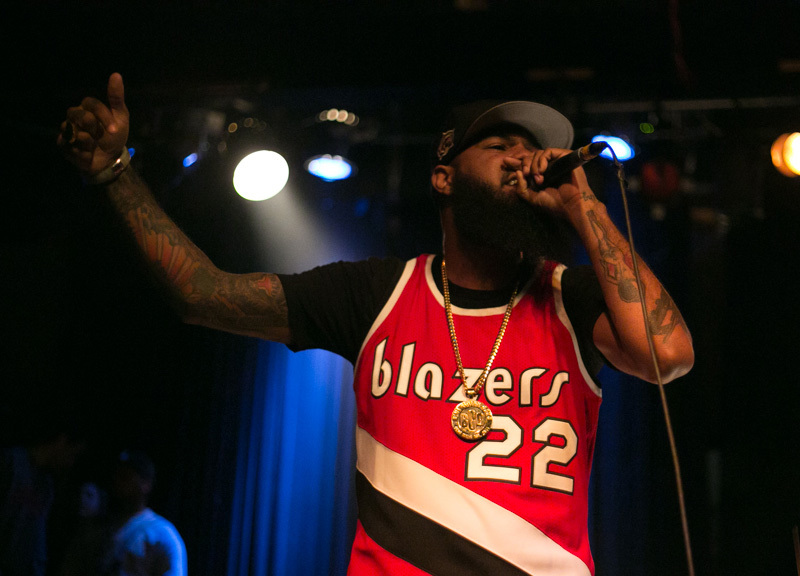 It was around this time, too, that Stalley announced that he has a new album in the works that will be released sometime in 2013. Looks like he plans to stay true to the line he spits in his “Love Sosa” freestyle, after all.